Each year we honour the best free tour operators around the world with the coveted annual FREETOUR.com awards. Based on FREETOUR.com users ratings, reviews and feedback, the awards are given to those free tour heroes who go the distance to provide top class free tour experiences. We’re taking a closer look at some of our 2018 award winning free tour providers in a weekly series shining a spotlight on the people behind the tours, their cities, and the passion that has made them and their free tours award winners. In the first of our Free Tour heroes series, we talk to Charles from Strawberry tours. Strawberry tours was founded in 2014 and operates walking tours in 12 cities across the globe - London, Barcelona, Madrid, Quito, Bogota, Havana, Mexico City (winner Most Original Tour - Free Taco Crawl ), Rio, Buenos Aires, Santiago, Lima and Amsterdam. Today we’re in London, where Strawberry Tours offer no less than 11 tours, to get the local low-down. What’s your favourite stop on your tours? We offer so many tours, it is hard to choose just one, but the first stop on our Food Tour, Beigel Bake, is an East-End institution; open since the 70's, it’s open 24 hours a day, 365 days a year, and has the best bagel's in London city, hands down! What’s one thing visitors should not miss in London? The Parks and Gardens, a lot of visitors don't realize that London has a huge amount of public green spaces. 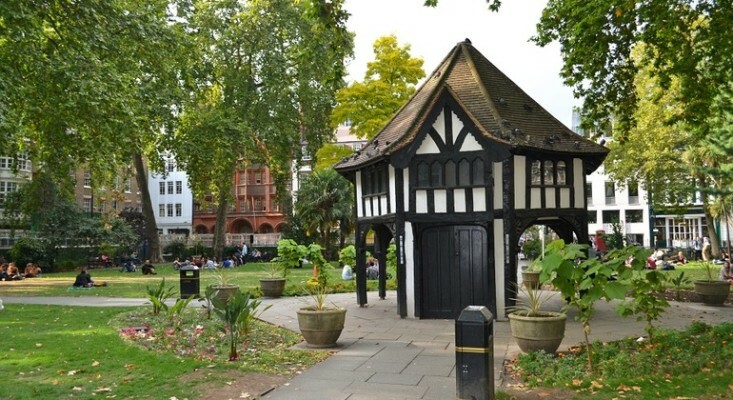 In such an urban environment, it is amazing how well kept and beautiful these parks are, and in the Summer and Winter, you can be sure to see lots of markets and events being hosted there as well. St James's Park is close to some of the bigger attractions in London like Buckingham Palace, and you can also see the resident Pelicans. How would you describe the character of your city? I think the best way to describe London is with a quote from Samuel Johnson - "When a man is tired of London, he is tired of life; for there is in London all that life can afford." 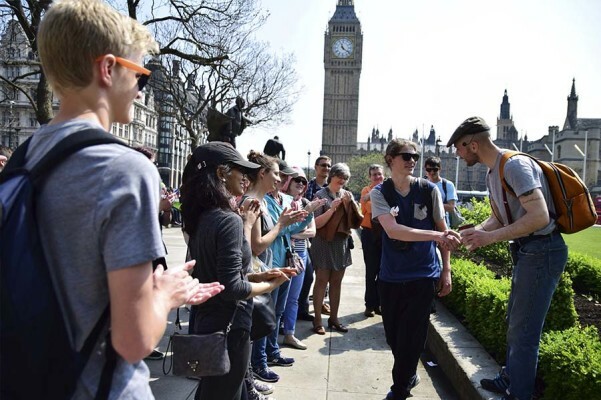 Three reasons you should discover London with the Free Tour? Our Guides - Locals and London Lovers, they are constantly exploring the city so they have a real insiders knowledge. Meet new people - We get a lot of visitors with common backgrounds, who can chat on the tour or go for lunch with each other, it’s great to see people make new connections. London is Big - London is bigger than some visitors anticipate, and it can be overwhelming deciding what to do when there is so much to choose from. Our tours take all that hassle away! Our guides are very friendly too, don’t be afraid to ask questions and get to know them. Which local market would you recommend and why? Borough Market without a doubt! It has the benefit of having an amazing array of food stalls, from Hog Roast Sandwiches to Malaysian Curry, but is also the number one place to get fresh food and ingredients; so you can have delicious lunch in the Market and buy everything you need to make dinner! 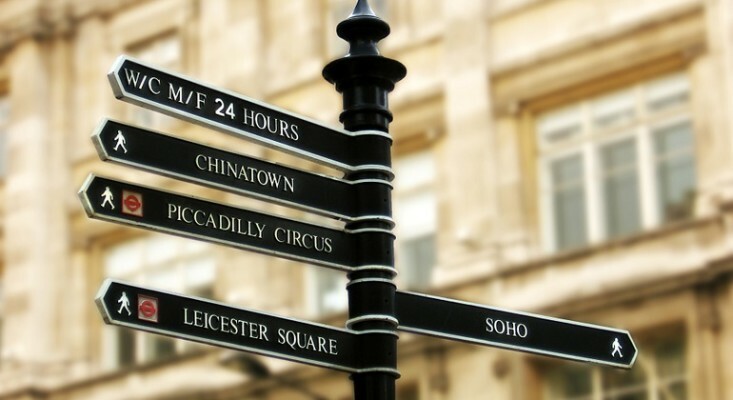 What are your top three local London tips? Try and look for Samuel Smith Pubs in London, they are a lesser-known brewing company but their beer is amazing and at least 40% cheaper than anywhere else! The Vintage markets on Bricklane are a treasure trove of history. Only open Thurs-Sun, it is the place to go for vintage clothes and gifts your family will want to keep. Why do you feel your tours are award-winning? Everyone at Strawberry Tours really cares about the visitors on our tours. From booking to the actual tour, we want their trip and experience of London to be something they can treasure forever. Knowing we provide a memorable experience to our customers is a great responsibility - a trip to London can be a once in a lifetime holiday and we love being a part of that. Customer satisfaction is our number one goal! 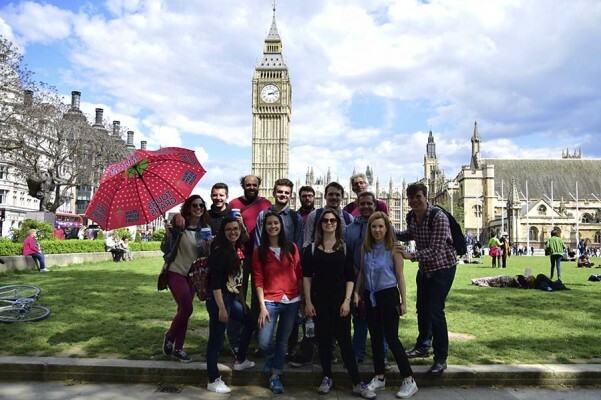 You can easily book your spot on Strawberry tours excellent free tours in London, and each of their 12 cities around the world, on FREETOUR.com with absolutely no booking fees or charges, and get instant booking confirmations too. Next week we’ll take a peek at Ogo Tours in Madrid and get the inside scoop on a monument dedicated to the devil, huge calamari sandwiches, and where to go in Madrid if you’re a proud hipster. Happy touring!